I am writing this from a café which is both old and new to me. I was first introduced to Insomnia Coffee mere weeks after I moved to Portland in 2009. At the time, there was only one location off of Baseline road in Beaverton and I loved their ice chai so much I made the 20+ minute drive from my house every weekend. Naturally, Insomnia was the perfect setting for my ritual of reading Nylon magazine at a café. What began as a simple weekend amusement in boring Orange County, turned into an obsession over time which lead me to reading this magazine in cafes all over the world. Alas, after a ten-year subscription to Nylon (which was transferred from Kinokuniya in Costa Mesa, California to Portland, Oregon to Oda, Japan, back to Portland, Oregon) I have decided to end my ritual. My reasons are many, and considered how long I have maintained this ritual, the extent to which it has followed me around the world (Japan, South Korea, Thailand), and how beloved it was to me, I feel I owe myself en explanation. 2015: A photo I took after moving back to Portland. Also pictured are my 2015 agenda, and Tote from Seoul. 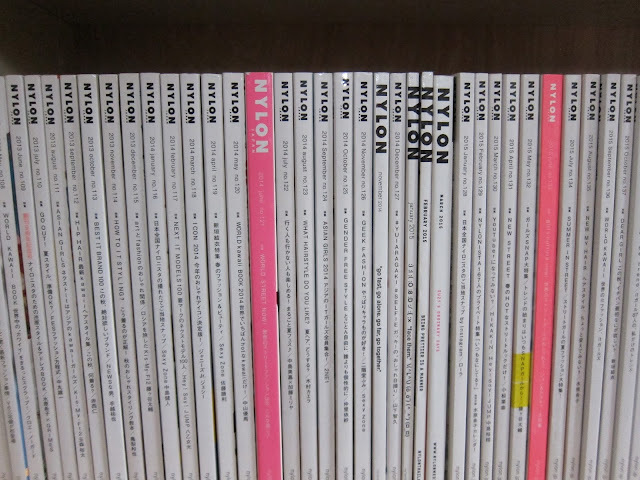 Nylon magazine changed for the worse in April of 2016. The magazine became significantly thinner, the paper became more light weight and shiny, like a cheap tabloid periodical. The back half of the magazine felt like it was made out of newsprint. The one provocative covers were replaced by close-ups of heavily made-up models. The visual aesthetic changed significantly as well. Instead of edgy contemporary styles, every model looks like she could have been pulled right out of a Nirvana concert. I don’t mean I just dislike the current season. I have had a subscription for over a decade; I have been loyal to this magazine even when the mainstream trends don’t appeal to me. I have help on through good and bad seasons. What I am seeing now is not a new season. It is a new direction for the magazine. And I dislike it. In fact, I dislike it so much that I recycled the new Nylon issues, something shocking considered how well-preserved my collection is from 2005 and on. 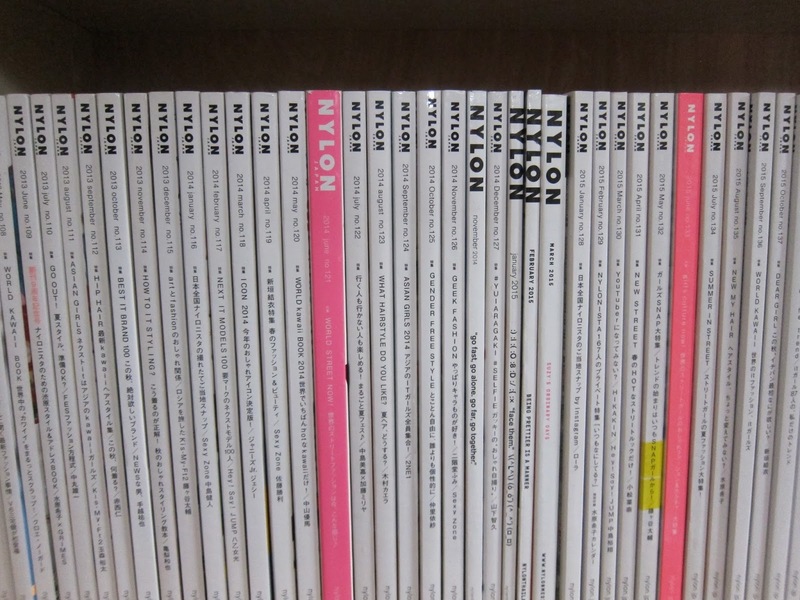 Left: last issue of good Nylon; Right: first issue of bad Nylon. See the difference? After building a new location 10 minutes further on Amberbrook Road, I began frequenting that store. It was great for a while. I also got a good seat. Customers where quiet and courteous, but the neighborhood has grown considerably in the last few years, and last few times I went there were not positive. It has now become so crowded that it is nearly impossible to find an open seat at any time during the weekend. This has become the de facto hangout for high school sports teams, coming in ground of ten or fifteen at once. Parents have started taking their tiny children there; not just one or two, but I once saw a father drag in a wheelbarrow of six toddlers. Barista have taken to playing 90s hits like the Backstreet Boys. It is no longer a place where I can read my magazine in peace. It does not create the ambiance I prefer. I made several lifestyle changes recently which seem incompatible with this ritual. First, I am no longer eating or drinking sugar. This means I cannot order my once favorite Iced Chai Latte, and if I can’t order that, there is no point going to Insomnia because I can get much better lattes in cafes closer to my home in Portland. Second, I no longer find joy in the long drive to the café, preferring instead to walk 30-40 minutes to cafes in SE Portland. Walking is healthier as well. Third, I am no longer reading fashion magazines. I realize now that one of the biggest contributors to my poor self-esteem and self-image is the fact that I have been constantly reading fashion magazines which, insist on showing me nothing but bone-thin beauty. I will never look like these women, so why should I keep looking at them. From now on, I will seek out new fashion ideas from bloggers who not only share my aesthetic, but also my body type. My tradition of reading Nylon at cafes brought me much joy and stability for many years. I am a creature of habit, but this habit has seen its last days. I celebrate the end of an era at Insomnia’s newest location in downtown Hillsboro, where I have come for the first and last time.